Fold Over Place Card, favor gift tags or Buffet Table Title Cards – To download the jpeg image for printing, simply click on the picture below and it will take you to Hightail download service. You will need to add your own text if you wish to use your printer to personalized them, or you can hand letter your guest names. Vintage tulip, elegant design FREE for your own personal use! FREE Shaped Gift Tags for Easter or other uses! There are several digital clip art kits available in this design in my Etsy store. The complete art kit runs $7.95 and has 27 pieces in the kit. 3, 12″ square papers, 2, shaped tags, 14 art pieces, 1 word art, 2 intricate borders, 4 frames and 1 card front. Created from vintage botanical illustrations and highly designed, layered and textured, then mixed with original watercolor art by Audrey Jeanne. You can click on the picture to go to the kit at Etsy or use this link: ANTIQUE TULIPS ART KIT There will be several more kits coming over the next few weeks, including jewelry making collages, compact mirrors, coasters and more. After having a foot of snow two weeks ago we finally had a marvelous weekend – just in time for the outdoor wedding of a very special young couple that are dear friends from our church. It was a magnificent day for them and we were so excited to be a part of their lives and to be a part of helping them as a married couple in the years ahead. Congratulations Andrew and Monica! “This is the day the Lord has made, I will rejoice and be glad in it!” One of my favorite verses and one I try to meditate on frequently – whether the day is beautiful like today, or stormy, it’s a day that God has given me to rejoice and delight in. When I greet the storms with rejoicing in the Lord they pass more easily and disturb me less. When I greet the beautiful days with gratitude in my heart they are all the more enhanced! Everything goes better in my life when I rejoice in my Lord! Have a great Spring day. My long time readers know that I used to do a monthy drawing for a FREE kit for the people that left comments. Leaving a comment on a post was an entry into the contest. It fell off because I simply wasn’t posting enough at the time so it made it difficult to justify having a contest. However, since I have become a regular at posting again, I have decided to revive that Contest again. I really enjoyed the feedback and the daily chatting! Soooo…. this month’s prize will be “AJR-ETSY-DC010-ATC” Christmas, Love, Joy, Peace; is an elegantly collaged art collection of Christmas Trees, snow covered trees, red snowflakes, beautiful word art, swirls, texture and line art. 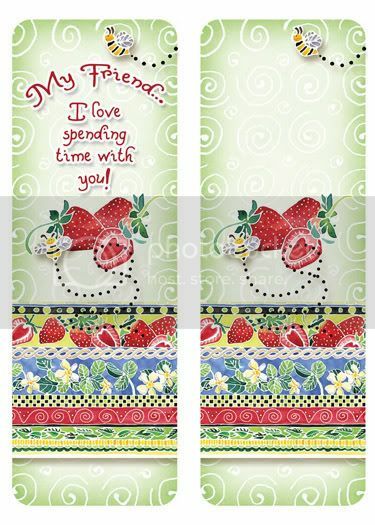 This digital collage sheet, has 9, rounded corner rectangular step shaped tag backgrounds on a sheet. All the art used on these digital 8.5 x 11 collage sheet was hand painted in watercolors, scanned on a high quality Epson 10000 and then digitally designed with the addition of some original art brushes. Use for ATC cards, card making, package tags, scrapbooking, magnets, stickers and more! Sent as a png file. Open with your graphics program and add text or monograms if you wish, then print out. I have intentionally left spaces for working for you. If you cannot use png files, simply message that you would prefer jpeg or pdf. The 9 tags are $4.95 and all of the new kits like this are being sold with slightly different ANGEL POLICY terms than I have been. They are sold with no limit on crafting uses in a year. Keeping track of how much you are doing with which kits is a burden, these kits don’t require you to make a limited amount. If something turns out to be a best seller for you, go to it with my blessings! Every little bit can help a family in these hard times. The old terms still apply to my standard sets, you will need to look at the TOUs (which are included in every kit) to determine which they fall under. I have been making jewelry making kits of dominioes, 1″ x 1″ squares, I’ll be doing some circles of various sizes soon. It’s been a lot of fun envisioning new uses for my art. Please leave me some suggestions in the comments as to what else you might like to see — and earn a spot in the monthly drawing as you do! If any of you make glass pendant jewelry would you please private message me? Have a great weekend and be sure to read the post below about Amanda Curtin. A card designer and demonstrator for my cardcrafting products licensee, DO Crafts in the United Kingdom. A quick post this morning to let you know that I have a FREE patriotic card making kit available in my store at Aimee Asher. It is a 3 card, 2 envelope kit that I designed to make writing to a serviceman or woman very easy. If you have a group that writes to these people, feel free to make and send as many cards as you wish. 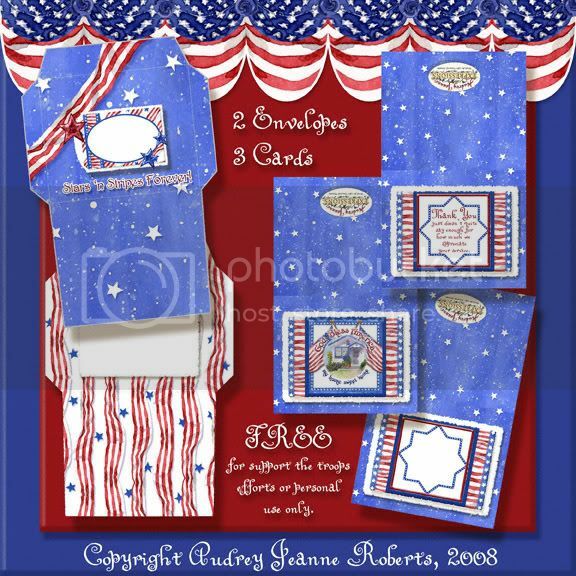 There’s also a blank card that can be made into a 4th of July party invitation or ? Have fun with it and have fun with your summer! I promised that I would do a freebie for those of you that were so patient during my loooooong break in posting. I also got a request for a butterfly bookmark for a Women’s retreat so I decided to combine their request with the upcoming graduation season and provide a bookmark for you to include as a package topper, or to add inside your graduation card envelope. You can print them on card stock and laminate as a basic bookmark or cut out the butterflies that are included and make them 3 dimensional. Use foam double stick tape to attach your butterflies and perhaps a little glitter or jewels and you will have a very special little gift! This is made out of the Winged Jewels Clip Art Kits which I am going to be uploading this weekend to this site. 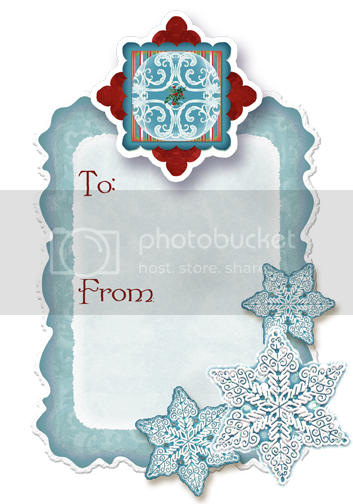 A Snowy Day Freebie For Christmas! With all the snowy winter weather spreading into such strange places as New Orleans!!! I thought I would create an “It’s Snow Fun” Gift tag set Freebie for you! In addition to the freebie, the art set from which it was created was uploaded into the AimeeAsher store yesterday. CLICK ON THIS LINK and it will take you to my store in the Aimee Asher Elite Digital Store. You will have to register in order to order from the store, but there will be no cost to you. Also, you may choose to receive a newsletter that goes out with store specials and freebies (or choose not to receive it) There are two freebies in my store, both with the red bow on the front cover image. Put them in your cart and then feel free to browse the other artist’s stores for other goodies (all marked by the red bow). It’s our way of saying, “Merry Christmas” to all of you! We’re also having a “Happy New Year” event that you’ll find out about if you sign up for the newsletter! The main address for Aimee Asher Elite is www.aimeeasher.com, bookmark it and check back often! There are all kinds of activities to be discovered there. Many of your favorite artists have groups you can join. There’s a wonderful message board where ladies share ideas, pray for each other and have a lot of fun. LINK TO FREEBIE GIFT TAG HERE. This freebie also kicks off our Christmas Story reading, which begins in the post below this one. Each day I will post a little of the Christmas Story to help all of us keep our focus in the chaos of the season. Come bring your cup of coffee or tea, put your feet up and join all of us as we prepare for the holidays together! Christmas is Coming — Here’s a Freebie to Help! LINK TO CHRISTMAS GIFT TAG FREEBIE HERE Here’s a little freebie treat for you that is made out of my “Contemporary Christmas 2” kits, both the paper pack and Digital Clip Art kit coordinate with it. It’s a three dimensional, layered gift tag that you can make quite easily and glitz up with glitter, jewels or? I personally adore decorating my packages with really special gift tags so I hope you’ll enjoy this little gift. I think that this Christmas is going to be both a challenge and a blessing. We all have a little less “excess” to go overboard with Christmas gifts so if you are crafty at all, it’s an opportunity to use your gifts and talents to make up the difference! My very favorite Christmas memories are the ones where I spent time making my gifts for my family members rather than last minute rushing through the stores and grabbing what I could find and afford. The real meaning of Christmas isn’t the glitz, glamour and race to outspend each other — it’s that God gave His most precious gift, His only begotten Son to a world that was lost without Him. It’s that God wanted to enlarge His family through that gift and that His passionate desire is that we would have His Peace fill our lives and our world. So as we head into the fall (yippee on the brisk cool mornings, I LOVE THEM!) Let’s think of really meaningful gifts we can give to those we love. If you have grandchildren, perhaps you could take them for a weekend to allow their parents time to rediscover their love for one another. If you have a neighbor that is growing old and frail, perhaps you could take them with you to see the Christmas lights. There are so many meaningful things that we can do for each other that cost very little if anything — except of course our TIME, which is the most valuable and limited thing we own. Freebie “Sweet Desserts” Recipe Card Set! LINK TO DOWNLOAD FREE RECIPE CARD SET I created a new recipe card set to give away so I could “show off” the new “Sweet Desserts 1” Digital Clip Art Kit and the new “Abigail’s Sinful Desserts 1″ Recipe Card Gift Box and Food Gift Set. This will give you a chance to see the new art up close and personally. There are two, two-sided recipe card layouts, with and without title and three versions of a single 4″ x 6” recipe card. I hope you’ll enjoy your “non-fattening” treat! PRAYER: Lord, in uncertain times, when I read the headlines and don’t know what the future holds, help me to remember that You are “The God of Hope” and You hold both the future and me in Your hands! Let that hope become so real to my heart that it fills me with all joy and peace as I grow in trusting you. Freebie, Anticipating the Coming Fall Season with Joy! CLICK HERE FOR LINK TO FREE RECIPE CARD DOWNLOAD Those of you that know me, know that I ADORE THE FALL!!! The first crisp day of the fall season is one of my favorite days of the year. Perhaps it’s because I live in a very warm summer area of the country and don’t particularly enjoy heat. Perhaps it is because I love the warm, spiritual focus of Thanksgiving and Christmas and the first day of fall reminds us all that these seasons are approaching. All I know is that I felt the tiniest hint of coolness a night or two ago and my heart soared, LOL! I am working on brand new art this week. Normally I don’t release brand new art to digital use until 2 or 3 years of licensing has passed, but I’m going to break my rules on this one. I’ve been painting up a storm and have a freebie to give you a sneak peek of what’s to come. These recipe cards show art from two of the kits, one is purely pumpkins and fall, the other is a very sweet, non-scary Halloween kit. Each is available in a lined and unlined version so you can hand write or type in your recipes. I hope you’ll enjoy both the sneak peek and the freebie recipe cards. PRAYER: Lord, help me to remember as I struggle with the challenges of each day that you desire to be a refuge for me to run into. You want me to come with you with each stress, each joy, each sadness and trouble. Basically, you want me to come to you with EVERYTHING! CLICK HERE FOR DOWNLOAD LINK I just had to make up a recipe card out of this set, it’s so perfect for these uses. So I decided to share it to celebrate my first kits being up at Aimee Asher Elite (at www.aimeeasher.com) I have around 20 kits up of 185 or so to get there, it’s going to be a long month!!!! A Refreshing Summer Freebie and a SALE TOO! LINK HAS BEEN DISABLED, FREEBIES ARE ONLY AVAILABLE FOR ONE WEEK. I first offered this freebie last summer, so you might already have it, but for those who are new since then it contains a two-sided blank summer art recipe card , a post card, a gift tag and two versions of a party invite! If you’re having a pool party, summer get together, kids sleep over or any fun family event, I hope you’ll find this helpful in planning the affair. This set coordinates with the other two Summer Fun series kits. It will only be available for one week so get it while it’s hot! This Week’s Freebie and the Cute Story That Goes With it! I was talking to a girlfriend on the phone this weekend and decided to put her on the speaker phone and finally tackle cleaning up my computer desk a little. I brought a trash can in and started throwing things away. I kid you not and am NOT EXAGGERATING my desk was 7-8″ deep in “stuff” The only reason I finally broke down and cleaned it was three times this week things slid off the pile to the floor like an avalanche! 1/2 way down through the pile, what do I discover? A 1/2 lb Hershey’s chocolate bar that I “lost” months ago!!!!!!!!!!!! OMG I started laughing so hard. The moral of the story is if your craft room or desk is dirty, you might want to clean it, the craft fairy might have hidden some chocolate in it as a reward for your efforts!!!! LOL! So many ladies wanted a piece of that candy bar (at both the www.aimeeasher.com and www.pccrafter.com message boards) that I decided I had to figure out a way to share the bar without playing favorites! With Independence Day (in the United States) coming in just one month, I wanted to create a kit that I have had on my heart for a very long time. There are wonderful people and organizations all over our nation that are doing whatever they can to make sure our troops overseas know that they are loved, supported and appreciated. In my own tiny church there is a large group of mostly women that have been doing an incredibly good job at this. The ministry is called "Love our Troops," and they send personal notes in greeting cards, care packages and make handmade cooling scarves to express their love and encourage the young men and women that are serving the Afghani and Iraqi people as well as protecting our nation. Though our family has sent dozens of cards, because of my schedule I haven’t been able to do as much as my heart desires. I began to think about how I could enlarge the effort and realized that I can create a kit that just might facilitate a lot of other people to make cards and send them! This kit contains 3 greeting cards, one is blank for your own message and two matching envelopes. It is FREE for personal use or for organizations that will be encouraging the troops. You can download the kit by clicking on the picture at the top of this post and a window will pop up from 4shared.com. When you click on that window it could take a while for the download button to appear at the top left of the page (a couple of minutes if you have slower internet service). All you have to do is click on that download button and select a place to download it to on your hard drive. For those of you who will send these cards out, bless you!!!!! Oh, and if you believe in the power of prayer, take a moment to pray for the service member that you are sending it to.